Aruba, a Hewlett Packard Enterprise company, has announced a new family of 802.11ax (Wi-Fi 6) IoT-ready wireless access points and complementary access switches, along with innovations in security, intelligent power management, and Artificial Intelligence (AI)-powered automation and service assurance, to deliver the performance, simplicity and reliability that organisations need to give users exceptional digital experiences. The new wireless access points support the latest Wi-Fi standard and are the first to be Wi-Fi Alliance (WFA) certified for the new WPA3 and Enhanced Open security standards to provide stronger encryption and simpler IoT security configuration. Aruba is also the first Wi-Fi vendor to integrate Bluetooth 5 into its APs combined with an integrated Zigbee radio. These new capabilities enable IoT use cases, such as smart door locks and electronic shelf labels, while Bluetooth 5 also delivers user-aware indoor location allowing IT to create personalised experiences. In addition, Aruba is delivering industry-first power management innovations allowing customers to preserve their existing PoE switch investments while significantly reducing access point power consumption during off hours. These unique features include Intelligent Power Monitoring, a capability delivered by Aruba Operating System (AOS) 8, and NetInsight Green AP, part of Aruba’s AI-powered analytics and assurance solution. The Aruba 510 Series APs, a new series of 802.11ax, IoT-ready APs, with advanced security, AI-powered RF optimisation, intelligent power monitoring, and integrated Zigbee and Bluetooth 5 radios. As higher performance 802.11ax APs will handle a greater number of devices and traffic, they will also consume more power. In addition, network architects generally design AP configurations for the highest capacity scenarios, and these combined factors mean that many organisations are confronted with rising power costs. Green AP, a new feature of NetInsight and a new innovation for the networking industry, allows IT to intelligently manage APs to reduce power consumption by up to 72% dramatically lowering costs, while supporting social responsibility. Using Green AP, APs can be automatically turned on or off based on utilisation, resulting in significant energy costs savings and an environmentally-friendly network. Additionally, Aruba’s Intelligent Power Monitoring (IPM), a feature in AOS 8, actively measures the power utilisation of an AP and dynamically adapts to the available power resources. IT organisations can define and prioritise which capabilities to disable when an AP is operating over its power budget. IPM will begin taking power reduction steps autonomously as defined by the priority definition until the AP is operating within the power budget. 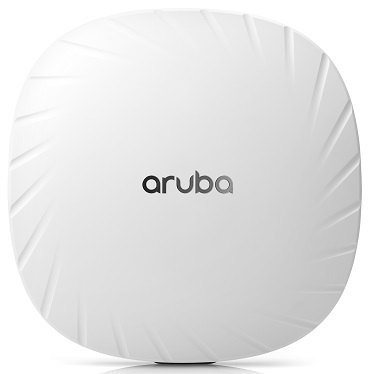 The Aruba 510 Series APs are available now, beginning at a list price of USD$1,095. 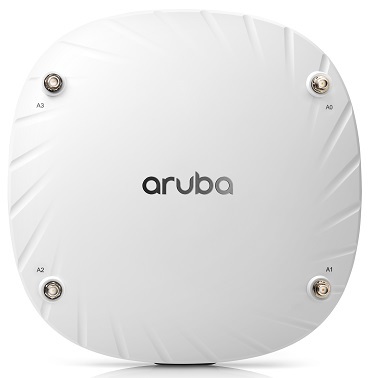 The Aruba 2930M access switch is available now, starting at USD$10,799 list. The new version of NetInsight with Green AP will be available in the first quarter of 2019, with one-year subscriptions beginning at USD$50 per year per AP.